I've partnered with Q-tips today to create my Thanksgiving holiday nails! I'm excited to share with you how I used Q-tips Precision Tips to create my Q-tips Holiday Glam manicure! It's easy to make a Holiday Look with Q-tips Precision tips. I actually use them all the time for mani clean ups. • The ultimate beauty tool, with tapered ends specially designed for precise application and touch-ups for nails, eyes, lips and more – perfect for achieve the ultimate holiday makeup look. Here's the design I made for Thanksgiving using Q-tips Precision Tips! 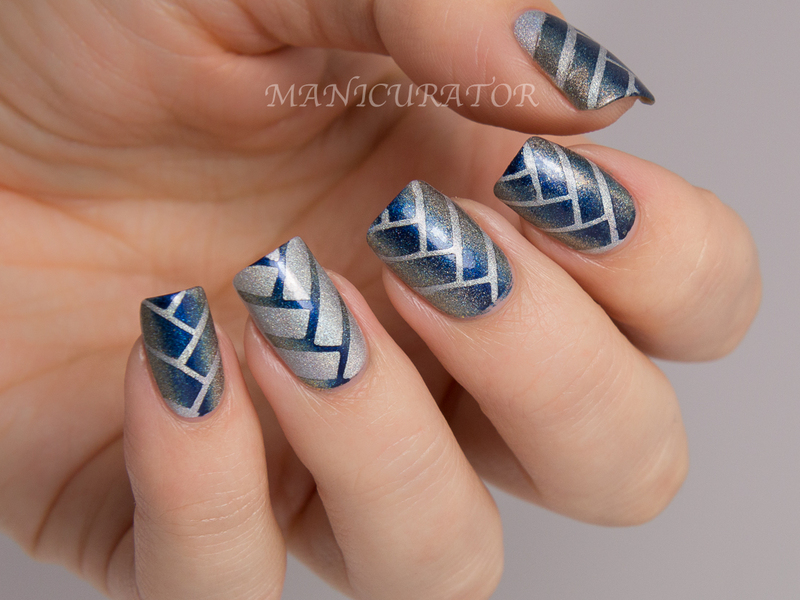 I started with 2 coats of the incredibly lovely A England Encore Margot, a silver icy blue holo. It's more amazing in real life, the photos don't show off the holo very well! 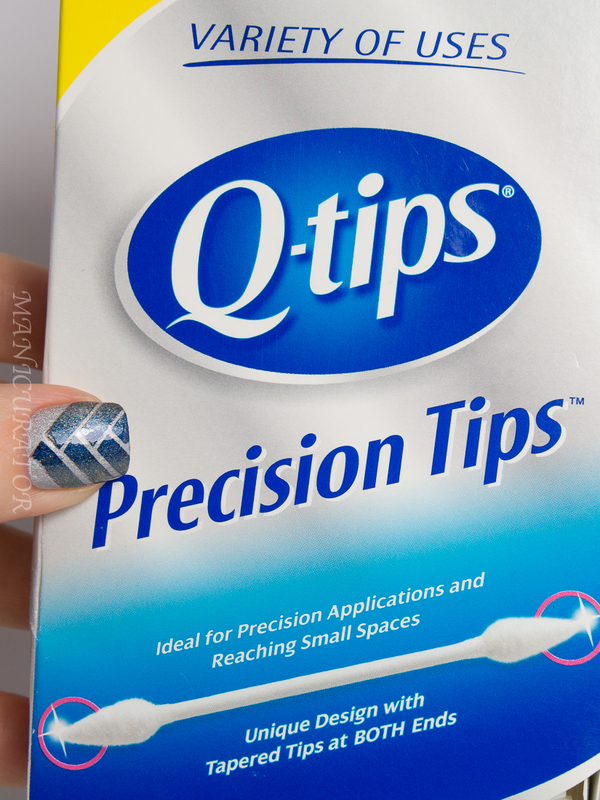 I always use Q-tips Precision Tips to help clean up messy manicures! They just work really nicely for me. I was thrilled to be asked to contribute a design to the Q-tips Holiday Glam looks! Find plenty more designs on their Instagram page. I used the Herringbone design from Vinyl Quickies to help create this. And then I used a sponge to dab on a gradient of A England Virgin Queen and Queen of Scots, from the new Elizabeth and Mary collection, both stunning! You see how it creates a mess! I prefer Q-tips Precision Tips dipped in polish remover for this kind of cleanup because, well, it's precise! You can get in close to clean, without ruining your work. 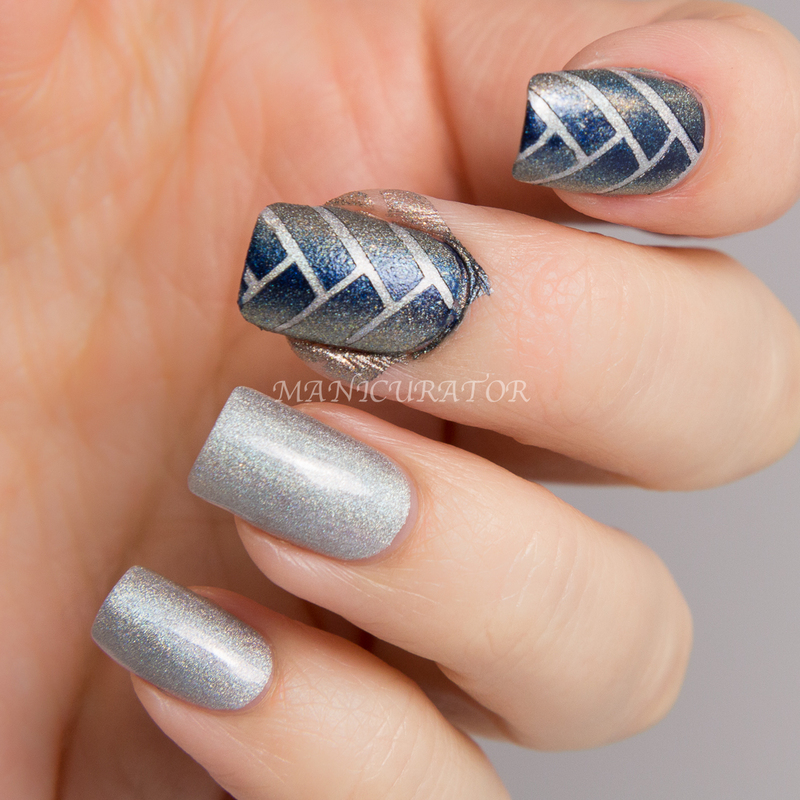 For the ring finger nail, I used the "leftover" pieces of vinyl and placed them individually to make the reverse gradient. After cleanup, top coat and done. I really love how these turned out! Even my hubby said they were one of his all time faves! Visit Q-tips instagram for tons of inspiration and Holiday Glam looks! Happy Thanksgiving to everyone celebrating! I'm so thankful to have been able to fly back to NY to spend it with my family! Disclosure: This article is sponsored by Q-tips. 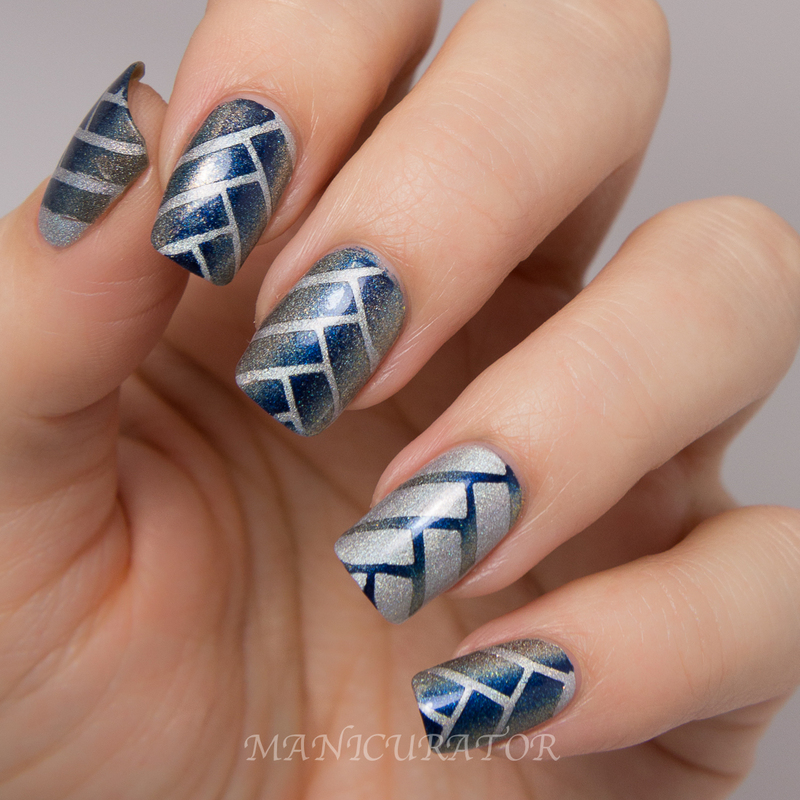 Love the design you got using those nail stencils! So pretty. I really should try pointed q-tips like this. I've seen them but never bought and tried them before. They look like there super handy for clean ups. Those are my favorite q-tips for cleanup!! I buy them in bulk from Amazon. LOL. Just got another big order in! I use them for everything! 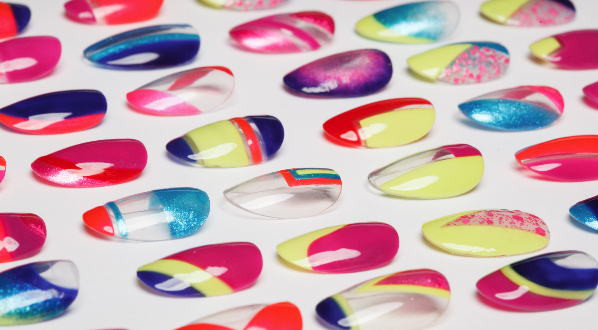 And your nail art is fabulous, of course! Yay!! 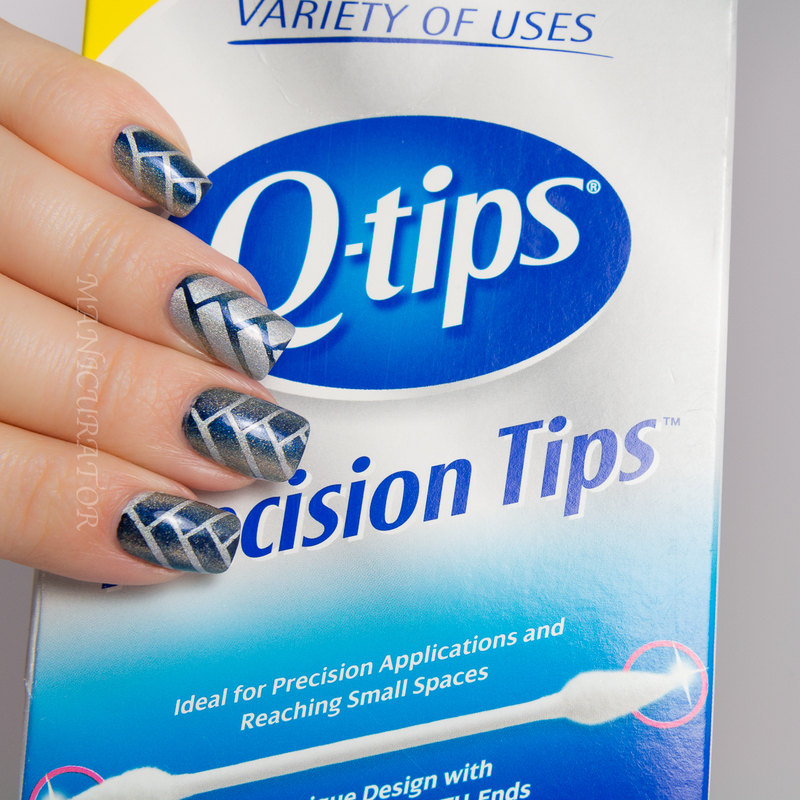 I'm stoked for you that you get to go back home for Thanksgiving <3 Your nails look gorgeous-- this might be one of my favorites of yours-- lucky Qtips :) I've never tried these Precision things but they look like they'd be a godsend for my terrible mascara application days, lol. 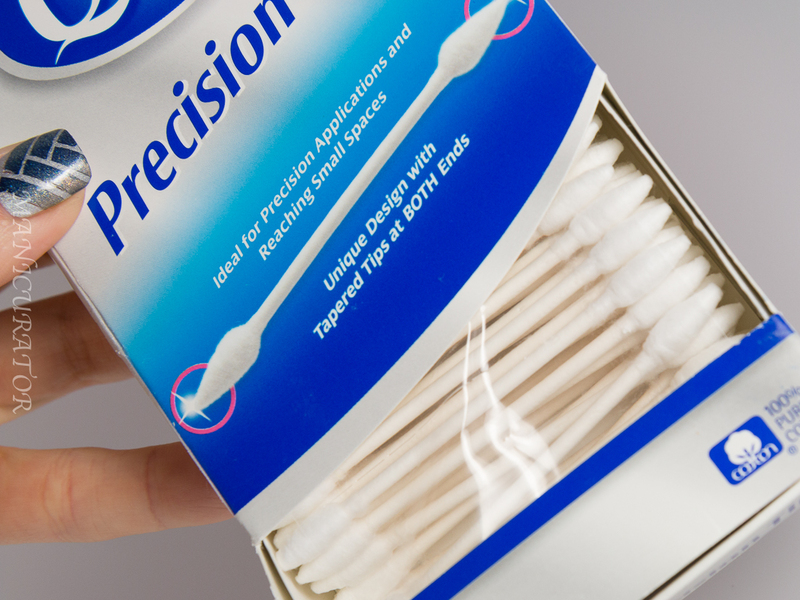 I do love the precision Qtips! Adorable mani too! I always use Q-tips to clean up. They are must handier than those correcting pens. I always use Q-tips for cleaning up. They are much handier than those corrector pens. I'll have to see if I can find pointy qtips over here. I use a small paintbrush for cleanups at the moment. What a great product, I have to look up for them here in my country and the mani, well it is amazing, super neat...love it! I love using q-tips for clean up as well! 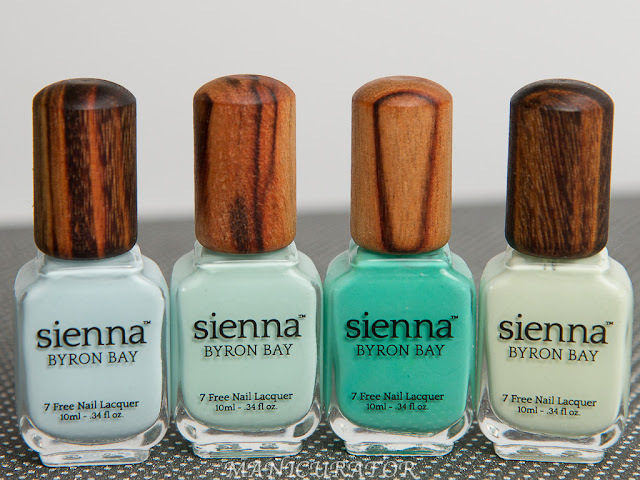 Love your mani!! I am always worried abut the fuzzies from Q-tips but these ones look awesome! I absolutely LOVE the gradient look! So pretty. And I use the same type of q-tips a lot! I haven't used those Q-tips in a while, but man. I need to try those Vinyls. What a fantastic idea. I love how your manicure turned out!